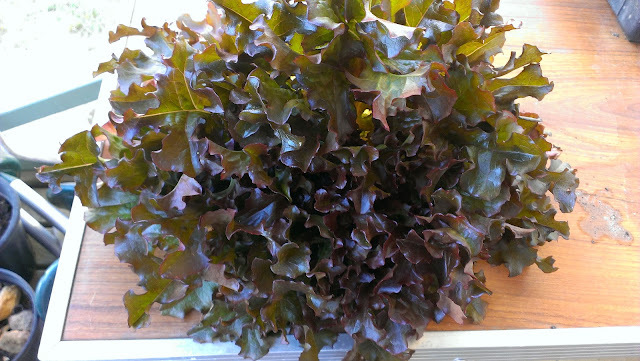 At least you have some red, my harvests are uniformly green at the moment. I've only got one more week of broad beans then I will be done to just leaves. 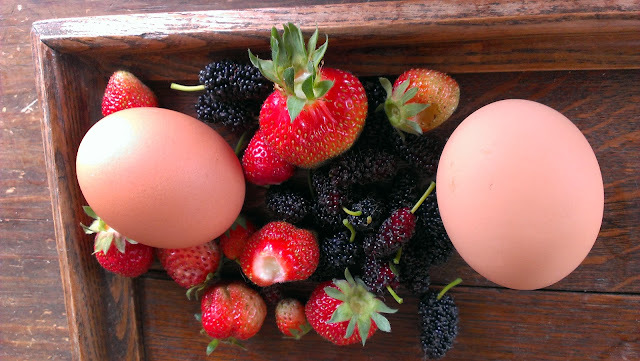 One day I will sort out the succession planting lark.... Loving the look of your berries. Incidentally how cold do you get in winter? We only just get minus but it has been a warm winter AND we have had the worst of our frosts very late October! I am also lucky in that the micro environment here is pretty good. We are on a ridge - the house and the veggie garden , and so the frost tends to slip off the sides of the ridge unless it is quite severe. Still that late October frost knocked back many of my summer crops - beans, corm potatoes and a few tomatoes but I am back on the job now. I know what you mean about succession planting, I don't seem to get it right either. Oh well. 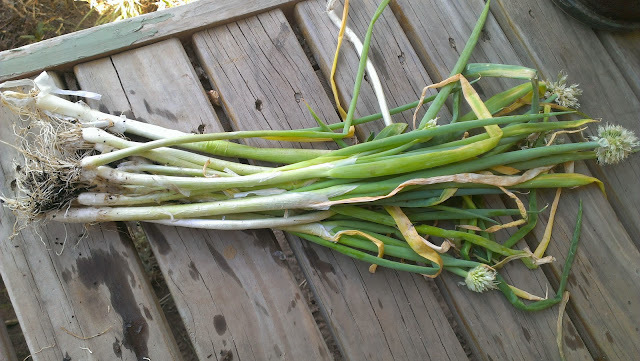 there is always a new thing to learn with gardening. If you get sick of radishes you could use them on the Christmas tree! Pretty aren't they? No, I wont get sick of them. Tomorrow I am making homos specially to dip the radishes into! 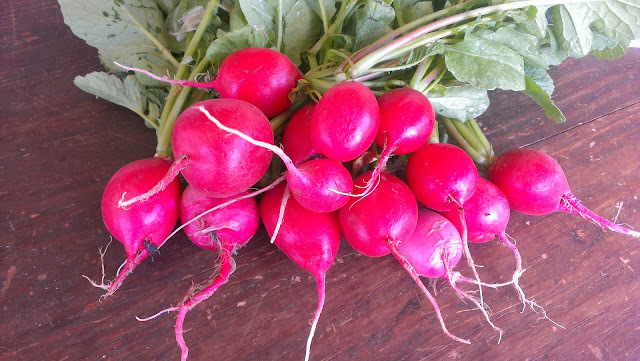 I finally got around to sowing some radish and I'm really looking forward to them. 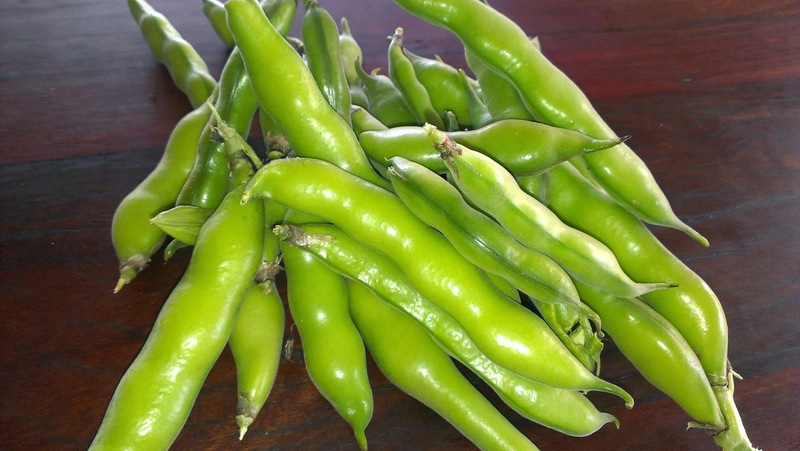 The broad beans have been a delight and I reckon I've got a couple of more weeks before they peter out, with plenty for the freezer, too. You had me there for a moment, cackleberries, hah! 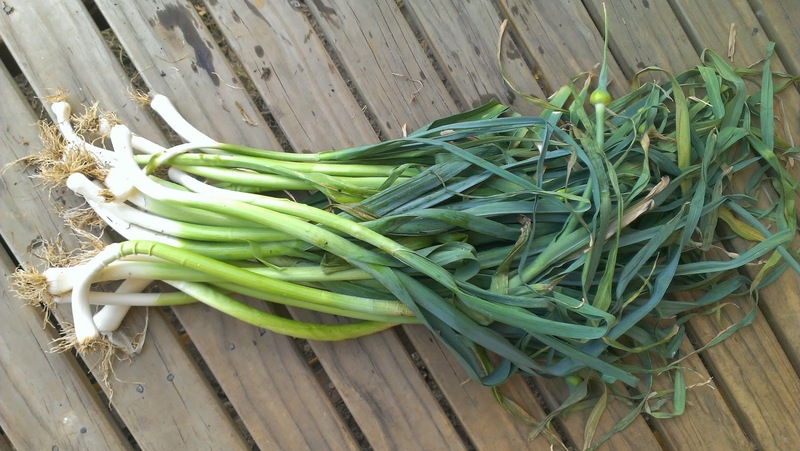 Maybe you just need to find the right variety of leeks for your climate. I know they grow well here and I think my climate is very similar to yours. We get two or three frosty nights and maybe a freeze or two but rarely anything severely cold. Full disclosure, I don't grow them myself but I do buy them from local growers at the farmer's market.